Your home is likely one of your largest financial assets. Deciding to sell it is an important life decision. Staging is the process of preparing your home for the real estate market so that it will have the greatest appeal to a wide range of prospective buyers. 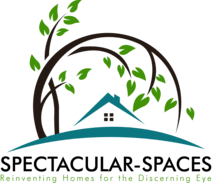 As Accredited Staging Professionals (ASP), Spectacular-Spaces Designs brings a combination of market savvy and design skill to the selling process that will help your property sell quickly and at a good price. Our primary objective is to be highly flexible in meeting our clients' needs. We realize that homeowners have a range of Staging needs, different budgets, different schedules and varied skills of their own that they can apply in home staging efforts. For these reasons, we offer a wide range of varied staging services that homeowners can take advantage of on an a la carte basis.